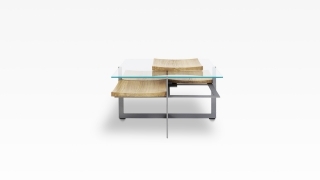 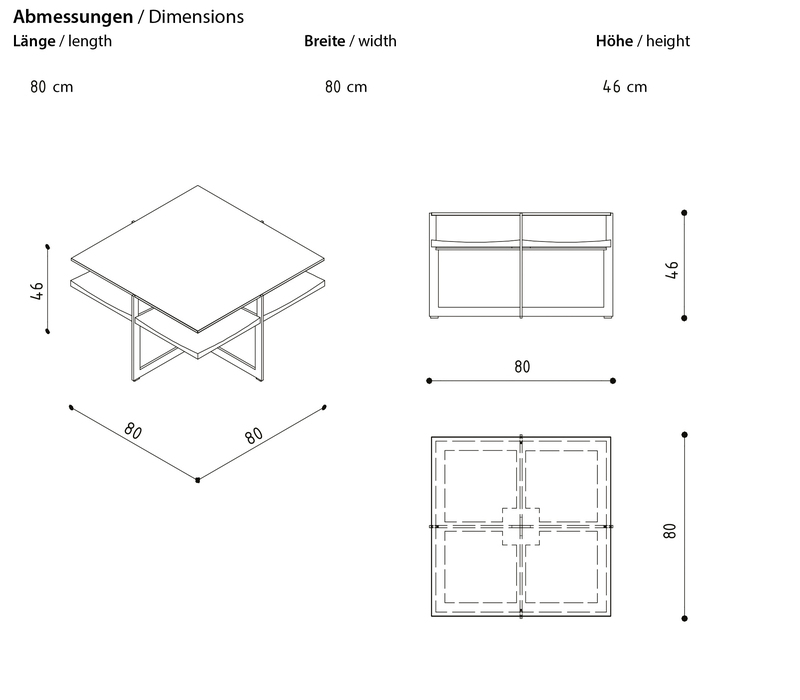 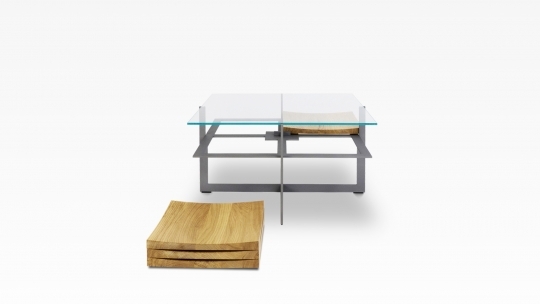 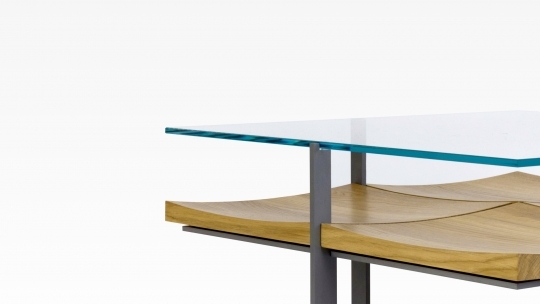 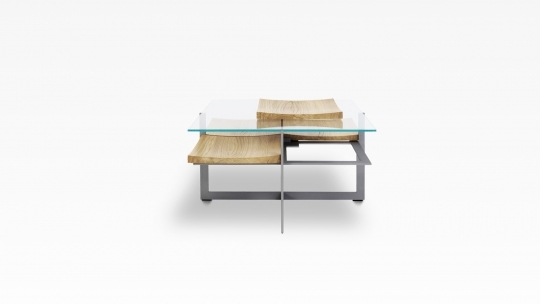 The coffee table Fallingwater, inspired by the architecture works of Frank Lloyd Wrights, celebrates the composition of wood, steel and glass.The frame made of steel is assembled in three parts. 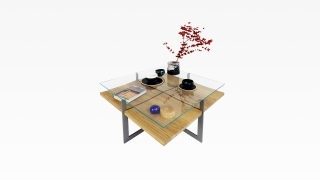 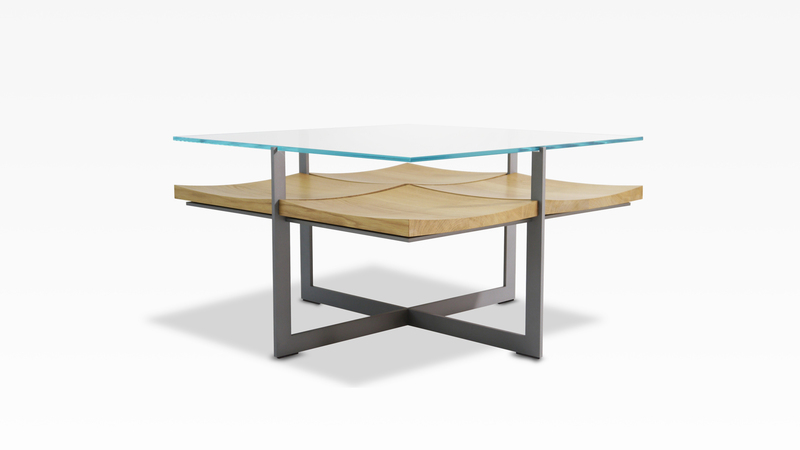 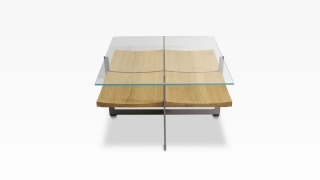 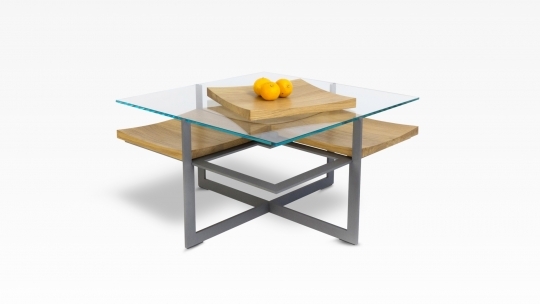 The glass plate sits on top of a cutout within the steel frame.The detachable wooden shells, made ofsolid wood, are fixed to the metal frame with magnets.Designed as a coffee table with detachable wooden shells, the pure function of the coffee table is enhanced to a show- case table, where objects of daily use like watches, jewelry or fruits can beshowcased. The concave shaped wooden bowls are made of oiled oak.